I'm a day late with my Tea Time Tuesday post. It's been an unusual week with my car still out over a week, babysitting Otto and an electrical problem in our home. I am very tired tonight...part of it being stress. I have an early morning kidney test tomorrow. Gina is coming home for Father's Day, so I need to go to bed early as it's house cleaning and shopping tomorrow. 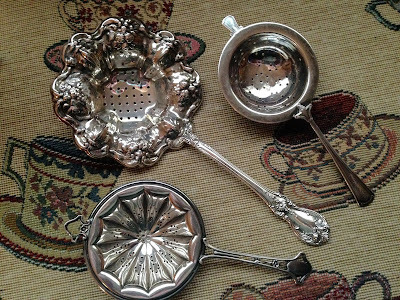 I wanted to share some of my sterling silver tea strainers this week. I do love them and find them so interesting. 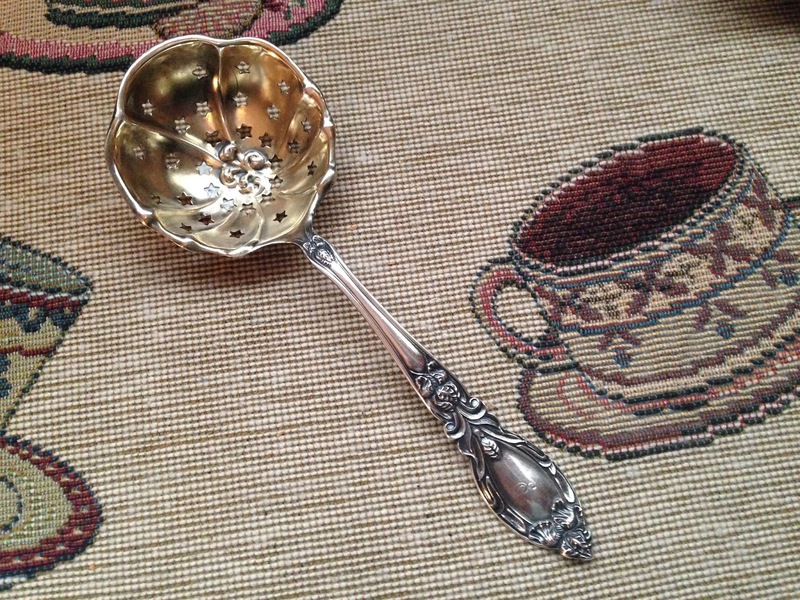 This is my latest one...a gift from my Jimmy recently. 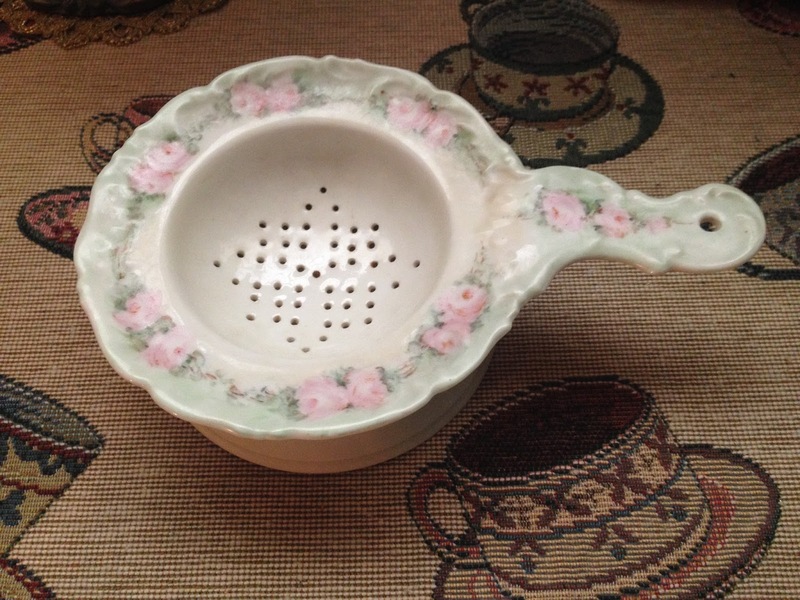 The design is charming with cutout stars in the bowl. This is a sweet little one from Port Townsend ,Washington. It was an anniversary gift from Jim. The middle one is my sterling pattern by Towel. It is quite large, but works so well. This painted china strainer is one of my favorites. I have had this one for over 40 years. 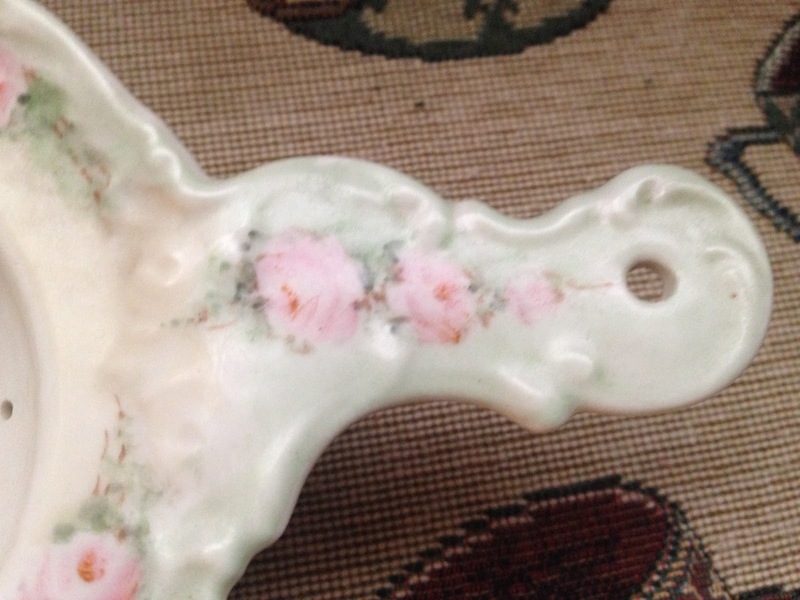 It's so dainty with it's tiny roses painted on it. 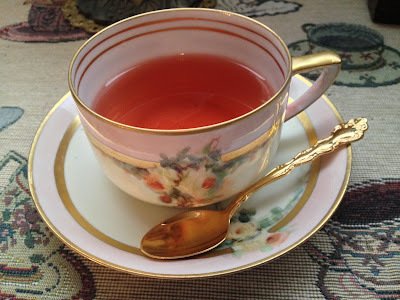 I enjoyed my cup of tea this afternoon...I hope you had time for a tea time break. 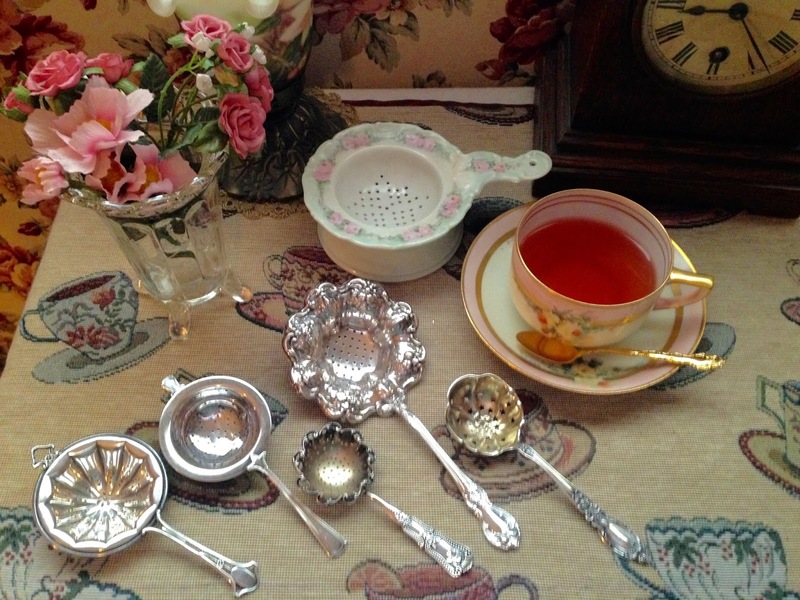 I always make time for a teatime break in the afternoon. It was a joy to see your tea strainers, lovely gifts you have a very generous husband. I start my mornings with a cup of Tea. This morning Twinging's English Breakfast Tea. 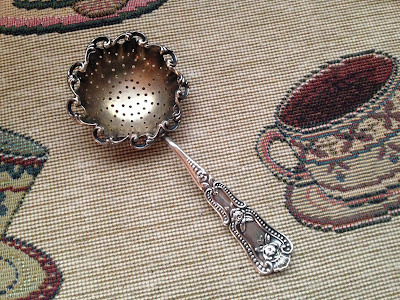 Any gift of tea items are the best! 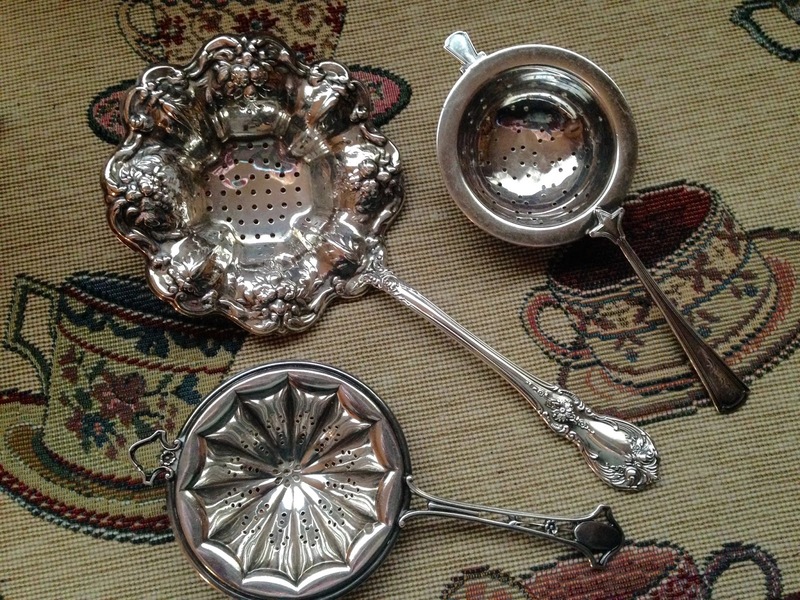 What beautiful tea strainers! I feel a new collection coming on!